Most of us have seen those painted chalkboard and magnetic walls and thought, “maybe I should do that!” Well, here’s the lowdown on what works, what doesn’t, and how to get the effect you really want. The claim: chalkboard paint can easily create a message board or art display in practically any room. The truth: it really can, but you don’t need to use a specific chalkboard paint that may come in a limited palette of colors. Here’s the secret formula: for each cup of regular paint in any color, add in 2 tablespoons of unsanded tile grout and stir to break up clumps. Apply paint with a roller or sponge paintbrush, and use multiple coats for even coverage. After it dries, sand lightly with 150 grit sandpaper and wipe off dust. Rub the side of a piece of chalk over the entire thing, then wipe away chalk with a barely damp sponge. 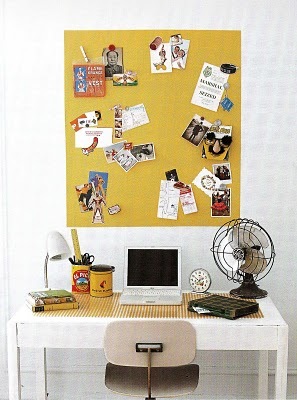 The claim: magnetic paint can transform a wall into a spot to display anything you want to display with magnets. The truth: it just doesn’t work well. A couple of years ago, one of my design clients wanted to create a magnetic area for her daughter to display her art and school work. After 3+ coats of magnetic paint, the area still was not magnetic enough to hold most magnets, much less a magnet holding a piece of paper! Have you seen those tiny super-strong magnets? They work pretty well, but those are kind of scary for kids to use (easily swallowed). Don’t know if you saw the Grey’s Anatomy episode about the kid who ingested a handful of magnets, but it was NOT pretty. 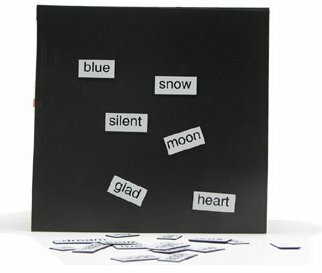 Anywho, my client ended up being able to use those very light word magnets found in those magnetic poetry kits – her daughter creates sentences and poems on the wall, but is unable to hang anything on it. So, forget the magnetic paint. 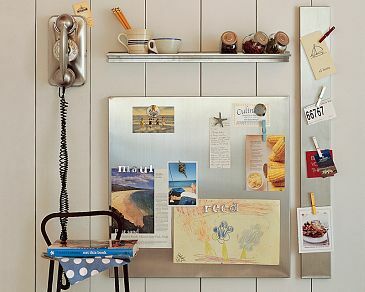 If you want a magnetic space that actually works – go to the hardware store and purchase a large sheet of galvanized steel (make sure it’s magnetic before you buy it). You can even use a metal backsplash for a stove (just don’t get a stainless steel one). 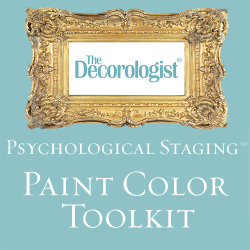 Then you can paint it any color you like – painting won’t impact the magnetism. 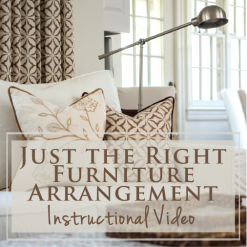 Attach a hanger on the back and mount it on your wall. So now you know the good, the bad, and the truth about chalkboard and magnetic paint. If you’ve had experience using either, please share! 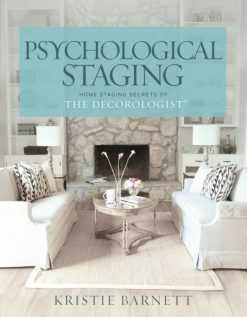 Make sure you “like” me on Facebook so you don’t miss any extras from The Decorologist! This entry was posted in Decor Addiction and tagged chalkboard paint, colorful chalkboard paint, decor ideas, does magnetic paint work, grey's anatomy and magnets, how to make any paint chalkboard, kids decor ideas, magnetic paint, poetry magnets, the decorologist. 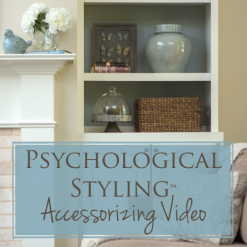 Great post, Kristie! I did not know this about chalkboard & magnetic paints! Note that wipe-off markers make a mess of children's clothing, furniture, and rugs when the markers get dropped, or the kids aren't paying attention to the business end of the marker. They have made permanent marks on some cute clothes and a carpet. They might be good for older kids, but not good for toddlers, etc! Dry erase CRAYONS are where its at!!! Markers are not in our home until my 5 year old can put the caps back on–I’m DONE trying to re-cap the markers, dry-erase or otherwise and tired of throwing dried out markers away! Chalk is a mess, too and the chalkboard never looks as good as new. I’m leaving the artsy stuff to the playroom, not my kitchen, thank you. Wait guys! Don’t throw out your dried out markers!!! Put your them in a jar with water and let them sit awhile. Homemade watercolors. My favorite watercolors were from my kids’ dried out markers. Highlighters are GREAT to use. It’s also a great opportunity to introduce color theory by using different colors to make “new” colors. My 2 year old learned how to replace the caps before she was even 2. it’s all about teaching. Try teaching your child instead of taking the fun/learning experience away. Smaller children leave the caps off of markers also, and they dry out. Not to mention the toxic smell of dry erase markers gives me a headache before my first word is written. Chalk is much cooler, in my opinion. Sounds like David has a vested interest. Boo. I have a 3 and 6 yr old and theres NO way I’d give them markers for their room. Chalkboard dust I can handle. I don’t know if you have done anything with the chalkboard or not, if so, or if you still wanted to… I went through Amazon and found DUSTLESS chalk. It is amazing. We have a 2 yr old and 4 yr old, they LOVE their wall. And dust is very hard to find unless they scrub the chalk on the wall. Awesome, Kelsey – I’ll have to check that out! Thanks so much for sharing. What is the footprint ratio for markers and chalk. How much waste are you throwing out? Plus chalk is biodegradable and that is a nice feature – without having to toss markers. Sydney, did you just use the word “jew” as a derogatory comment? Seriously? I feel like I went back in time to 1935. Use the new chalk pens and you won’t have that problem. They are at hobby lobby. Hi, would the chalkboard paint work with acrylic? I need to paint a pane of glass, and want it to stick. Can anyone tell me if there is a magnetic paint that could be used as a white board as well with dry erase markers? I’m looking to prepare a wall that we could post things to with magnets or with writing, but we also need the space to remain white so that we can use it as a projector screen. Our space is limited it must serve many purposes. Any suggestions would be most helpful! Here’s a question for you david…can I double the additive for say my first coat? Or here’s another idea…adding your powder additive to the magnetic paint they sell at the store to make it stronger for one or two coats and then put regular strength coats on top-just to cut down on how many coats I have to do. 2 extra magnetic coats sounds better to me than 4-5 less magnetic coats. I’m trying to make a magnetic (strong) chalk board backsplash for my kitchen. Instead of paints we used self-adhesive films recently, we have 2 in 1, magnetic wall that you can write on and we were even able to print on them. Looks cool. I did not know that about the chalkboard paint. Good to know for future projects! Yeah, it’s pretty cool that you can make your own so easily! I just recently made my own chalkboard paint in orange and purple… it worked amazingly. I can claim that this recipe is tried, tested, and true! thanks, jamie – i’m glad you enjoyed it! When you make your own chalkboard paint, do you use oil based or water based? Latex or no? Thank you!! I would say matte/flat….no sheen at all if you can help it. Do you need to let the chalkboard paint dry for 3 days like the commercial stuff? something to do with the grout being added? I’m about to refinish the front of our fridge which is old and rusty (real fixer upper we moved into) and chalkboard would be perfect, would like to find the cheapest option. what about primer, any old will do? I am currently on coat 12 or 13 of my magnetic paint project…I can get the magnet to actually stay on the board now. Just wondering how many coats it would take to get a strong magnetism in the paint. I am thinking 20 -24 coats! Anybody tried it?? We did magnetic paint for our daughter’s room in our last house. I think the key to getting a good bite out of the magnets is to be constantly stirring up the paint. The magnetism comes from metal filings in teh paint, and they really want to settle out. By having a helper constantly stir the paint, and only applying as much as you can before settlement, you may get better results. I got a good hold out of 2 coats of paint, but not a fantastic one. Silly me – I Googled “painting a magnetic chalkboard” after I went through the trouble of 4 coats of magnetic paint (still barely holds a magnet) and a coat of chalkboard paint. I’m looking for some clever trim ideas to finish up the project. But really, the work, the mess, the cost, it has occurred to me that I should have just found a source for a good, strong magnetic board. Next time. You’ve got a lovely site. First time I came across it, but I’ll be back. Cheers. Dominique.. I am doing that VERY same thing right now… So bummed!! I can not stand wasting my time on ANYTHING that doesn’t work! Because I/we have to fix it to boot! I literally just wrote on my things to do: return metal primer and purchase magnetic primer for chalkboard. I’m putting one in my daughter’s room. After reading your site, I had to rewrite me to do list, which included going to the recyling plant to see if I could get a chunk of steel. Thank you so much for posting what you did – I can get super frustrated, and I know I would have flipped out for sure at putting on more than 3 coats! Thanks so much : ). From a lawyers perspective I think it is very important to know that anyone who buys the additive from Lytle and mixes the paint themselves is violating patent law. 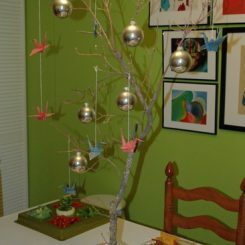 I would advise that anyone recommending this technique further on blogs do their homework and understand the implications. David Lytle should know this as well, he is playing with fire here. Agreed! This is not violation of patent law unless you intend to sell. Also we had done this sort of thing long before it had became a patent. Almost anything that’s legal to own is legal to construct for personal use. There are a few devices that are illegal to tamper with or modify but purely for safety, security, or substance control reasons. Unless you live in North Korea don’t be so willing to get nannied by the State. I just wanted to say how I love the above comment by Sean “Unless you live in North Korea don’t be so willing to get nannied by the State”. It is too funny but very true making it more funny. So many people live in fear of the government through media and lack of knowledge about our laws and the constitution. Anyway just wanted to say that and I love this blog. First, I work in patent law and I can guarantee you that without a through legal read of the claims in a patent you CANNOT make the statement that someone is infringing a patent. To the others,a patent prohibits others from making, using,importing, offering for sale, and selling, this not have to have a direct commercial connection. Anyway ignore Joane. Joanne “says” she is a lawyer. I say she is a scare monger. I have been selling the magnetic paint additive I invented for over 15 years with not a problem from anyone. You are doing nothing wrong or illegal by using it to paint your walls. Thanks, I built a restaurant in SF back in 1998 using a lot of galvanized metal sheets. 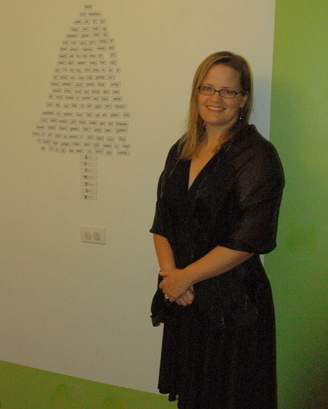 One large wall was galvanized metal painted with chalkboard paint. This was before the secret of the ingredients was exposed. I am now building a children’s tech and science museum in Assisi, Italy and I wanted to do this again. I was considering the magnetic paint, but it is double or triple the cost here and the surface area I need to do is large. After reading your post, I think I will stick with the galvanized sheet metal. Quick question…. 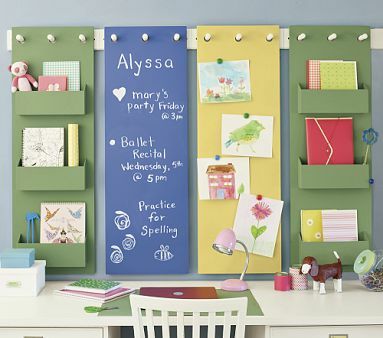 Can I paint a piece of sheet metal with chalboard paint and use it as a magnetic board as well as a chalkboard? yes, i believe you can!!! If it’s for your kitchen, try a cookie sheet. Works great! Hi..Kristie….thank you for this post! I was at Home Depot yesterday because I had an idea to paint galvanized sheet metal (magnetic) with chalkboard paint to use in my craft room (to sketch ideas/adhere products etc…) I want a black background as the chalkboard, but do I need to prime the metal first? Do you think the regular chalkboard paint in black is not good to use? Or will it be fine in my application? Hi! Thanks for this, I’m on a tight budget but really want to make a magnetic chalkboard, so this is great, the only issue I’m having is that I have no idea what unsanded tile grout is! Would the standard (I’m guessing sanded) tile grout do the same trick? sanded grout will be too gritty and difficult to write on. Unsanded grout is used for wall tiles, that usually have a glossy finish- the unsanded grout won’t scratch the surface of glossy tiles. You can usually find it anywhere they sell tiles or local hardware stores. You don’t need much- the hard part may be finding a small bag/box of grout. 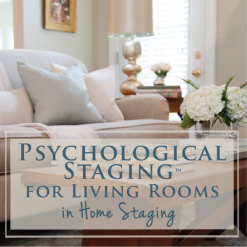 Thank you so much for sharing your experience with the homemade version of chalkboard paint – I’m sure that will be helpful to others reading this! Thanks for you knowledge and input, Chris. Great to hear from a pro! Chris, I am doing a few researches from school and it would be really helpfull to me if I have the chance to talk to you. My email is [email protected], if you have the chance shoot me an email. Hi – I’m still not sure if I have to prime the galvanized steel sheet before painting it. And, if so, what primer people would recommend. By now you've probably finished your project ages ago, but for anyone else wondering the same thing your best bet is probably a spray primer because it's metal. Spray primers are often oil based (if the can says it cleans up using mineral spirits or some other chemical like that it means it's oil based, if it says soap and water then it's water based), and that'll be your best choice for priming. For priming most things really, but definitely for applying paint to non-porous or troublesome surfaces. After that you can apply any paint with a much higher success rate. Thanks for the tips! We currently tape our child’s artworks on our beautiful stainless steel fridge. Needless to say, it’s not the prettiest sight. I want to create a magnetic wall somewhere in the kitchen so we can post her artworks there. Yet, the only wall space available is narrow. I searched for magnetic boards for the size I need, and it could cost upwards of $100+! I don’t have the time to paint 24 coats of magnetic paint either. I am now heading over to Home Depot to get a galvanized sheet! You probably have been long done with your project, but I just got 2 custom pieces of sheet metal for a very specific area (galvanized for a magnet board) at a sheet metal fabricator in town. These guys usually are making gutters or roofing things, but some are happy to cut custom sheets. It cost me $30 for part of a wall…which is kind of expensive, but at least I know it is the right size, fits the right place and will do what I want it to do. I have a question- I just bought some picture frames at a garage sale that I was planning to paint with chalkboard paint. I spray painted the frames black, but wanted to paint the inner part chalkboard. Can I paint directly on top of the glass with the acrylic paint/unsanded grout or will this not work? If not, what do you suggested that I do instead? Thank you! I’m planning on painting an entire wall with chalkboard paint, so would it still be smart to put galvanized steel on the wall first? And if so, what is the best way to make it stay in tact? 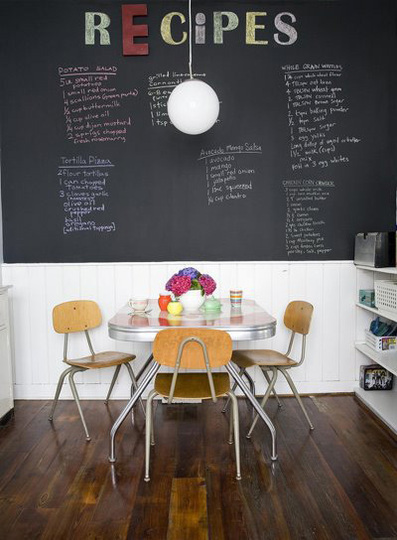 For those of you who have done the chalkboard paint, has the mess been an issue? Trying to convince husband to do it in daughters room but he is determined it will cause a big mess when writing. We could do it over tile or carpet, which would ya’ll recommend? Go to home depot and get a gutter that you would put on your house (with endcaps) and put underneath the chalkboard paint. It serves as a holder for the chalk and it will collect the chalkdust without it going on the floor. Like most of you, I tried to create a Magnetic Chalk board prior to reading this post. Again, the chalk board work great but the magnetic effect was a waste of effort. I have managed to find a piece of 8’X4′, 20 gauge sheet of metal. Very Reasonable price. Good tip to take a magnet to make sure it is magnetic. 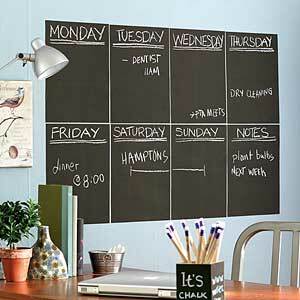 I am looking forward to making a large Magnetic Chalk Board for my kitchen. I loved my stainless steel kitchen appliances…until I tried to post my daughters wonderful artwork. Live and learn.. I found this article while looking into making a magnetic chalkboard. 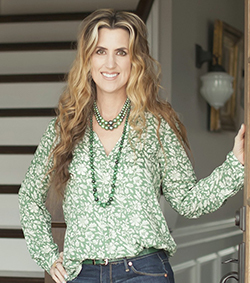 Benjamin Moore just came out with a chalboard paint product that can be tinted to any Benjamin Moore color (except for the Color Stories Collection). Thanks for the info about galvanized steel–I will probably stick with that tip and use BM’s new product. Most BM stores can save your name in their computer and keep track of the colors/products you buy so that they are easily duplicatable. Thank you for all this info! I just found this page while searching for “how to make magnetic paint.” I’m glad to have found it. I will use your galvanized-steel trick instead. Thank you! Can the magnetic additive be added directly to chalkboard paint rather than painting the magnetic surface and painting the chalkboard over it? Anne, it is always best to add the magically Magnetic paint additive to a white primer/sealer paint and paint enough coats on the wall to give you the desired magnetic pull and then sand the magnetic paint lightly with 000 sand paper when dry. You are sanding to knock off any little high spots of texture from the magnetic paint, not to sand it smooth. Then paint the magnetic paint. If you mix the magnetic additive with the chalkboard paint, the resulting texture may be too rough for your needs. Would it work if I painted the magnetic galvanized steel with chalkboard paint? I'm looking for a two in one combo for my daughters' playroom. Do they sell the steel at Lowe's you think? Thank you! Hi, when you said when you add they regular paint, did you mean that your adding the regular paint to the chalkboard paint or are you making your own chalkboard paint?? I really found this very informational I just found that that part very confusing, so if you or anybody can define what that text means, I would be very, very grateful. Thank you! Kristie, I just saw this post, although clearly it was written a long time ago. Thanks for the tip, since I'm working on a mambo chalkboard, and how I rethinking how I will make it. Maybe a sheet of metal would work well, since I could use magnets and chalk. I already bought the blackboard paint, but I guess I will use it, but I will keep this in mind for future projects. For what I read, one of the biggest concerns of using a paint for chalkboards is that you cannot choose colors. 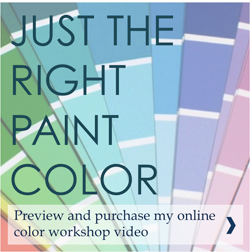 What about if you have the chance of buying paint for chalkboards having different colors to choose? Hi DeAnna did you get your magnetic paint from lowes? thanks! Why can’t you? Just hover your cursor over any pic and the “Pin” button should appear. Can you use chalkboard paint over the galvanized steel? 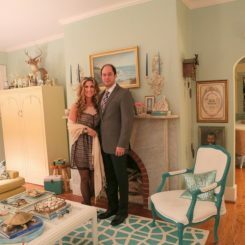 I loved your project, and was thinking about doing it on a wall in my soon-to-be home. I voiced it to my boyfriend and his only concern was the magnetizing aspect messing up other appliances in home. Now that he brought it up, I can’t get it out of me head. So, does it? Have you, or anyone seen a large magnetic sheet of steel covered in chalkboard paint present polarity problems with other appliances? Thank you in advance, Great read btw. Saved. I have a question. Can you paint the galvanized metal? * can chalk board paint be used on it? * will it maintain it’s metallic shine? Can dry erase markers be used on galvanized metal? Does anyone know if thee is a special paint/coating that can be used, that allows dry erase markers to be used on it? Do you have to mix the unsanded grout with water before mixing with the paint? I am having some difficulty removing lumps from the mix! Please help. Thanks! Does anyone have any photos to share of their multi colored chalkboard project? I’m excited to use this idea and need color ideas! I’m thinking about painting my (white) fridge with red chalk board paint! Any tips?!? I wonder ( does the magnetic work with the black chalkboard ) ..
can i put a magnetic stuff on my wall after i paint it with chalkboard paint ? can i use a magnetic stuff on my wall after i pain it with the black chalkboard paint ? Hi, I painted my fridge with black matt laquer and after it dried i used the charkoal. When I tried to wipe it, with a damp cloth I saw it didnt wiped it all. It looks like it’s stained, like an old used charkboard. I didnt however, rob the entire thing with chark. anny sugestions?